The two Olympic Quota Places went to Czech Republic and Russia. 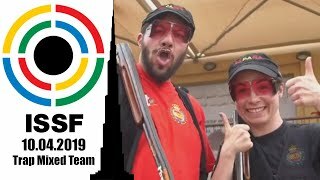 It was the first time that the new 25m Rapid Fire Pistol Men final format was used in an ISSF World Cup Stage. The new rules for the 25m Rapid Fire Pistol Men event which came into effect this year were applied to an ISSF World Cup Stage for the first time here in Sydney, at the 2011 ISSF Combined World Cup. How does the new 25m Rapid Fire Pistol Men competition format work? 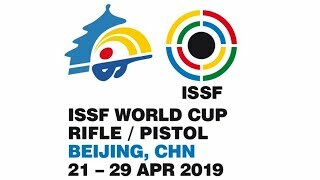 Six shooters are selected through the usual Rapid Fire qualification to participate in the final, which adopts a new “hit-or-miss” scoring system instead of the usual “points & decimals” system. The targets are the same, but the logic changes. The six athletes start the final with 0 points, and during the match any shot valuing 9.7 points or better is counted as a “Hit” (1 point). Any shot under that value is counted as a “Miss” (0 points). The final round, taking place at the 2000 Olympic range of Sydney, was conducted on three layouts (three different 5-target units), with two athletes sharing each layout and shooting alternatively on the same 5-target unit. After four series of five shots, the finalist with the lowest number of hits had to leave the match, while the others kept on shooting for the medals. 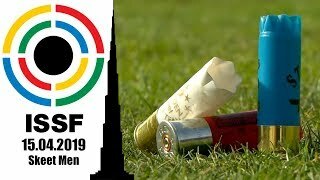 From the fourth series on, and after each series, the shooter with the lowest score had to leave the match, until the last two remain on the line duelling for the Gold medal. It was Czech Republic’s Martin Podhrasky who won the match, securing the Gold medal with 33 hits. 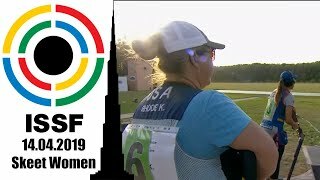 The 27-year old athlete, who had never won an ISSF medal before, outdid Russia’s Viatcheslav Kalioujnyi in the final duel for the Gold medal, beating him 2 to 4 hits. Podhrasky also secured an Olympic Quota Place, a pass to the next 2012 Games. The young shooter had been competing at the 2008 Games (when the old Rapid Fire final format was in use) eventually placing in fourteenth. Kalioujnyi, 31, placed in second securing today’s Silver medal and the second Quota Place to be assigned with a final score of 31 hits. Following him, the Bronze medal went to the three-time Olympic Champion Ralf Schumann, 48, who closed the match with 24 hits in the final. China’s 20-year old finalist Zhou Zhiguo, the 2010 Junior World Champion, placed in fourth with 19 hits, outdoing Ukraine’s Roman Bondaruk (fifth with 15 hits) and USA’s Keith Sanderson (sixth with 7 hits).